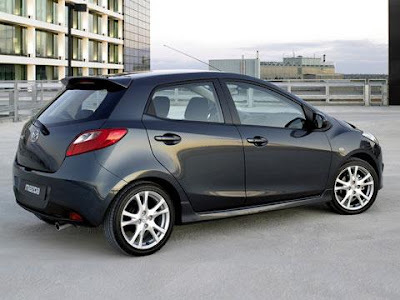 Mazda officially stated that its subcompact Mazda2 will indeed be sold in the U.S. As previously mentioned, the Mazda2 rides on the same chassis as the 2011 Ford Fiesta. No word on engine choice, but I'd bet it'll be the same as the Fiesta. I know ... shocking. The car will appear a the LA Auto Show in a couple of weeks. It should show up at dealers late next year. Should be a fun drive, and give the Fiesta some fresh competition. I just wonder if it'll take away any market share from the Fiesta.